This didn't turn out so great. I was trying to be experimental. 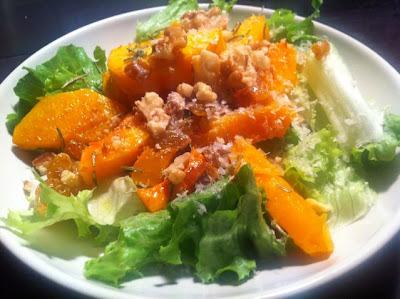 Roasted butternut squash with rosemary and put it on top of some lettuce with walnuts and parmesan. Something about the whole combo was sort of gross. Dave, butternut squash is really good with fresh sage. Food 52 has some good recipes, too!